I have read from one of my email today about this email. A friend of mine sent me Star Signs, now I have to keep on looking at the sky during nighttime, just to look for my Star Signs. 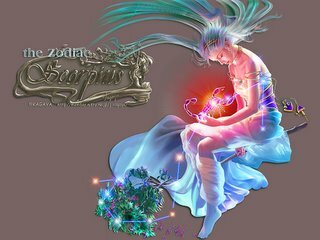 I want to SHARE this to you, so you would have an idea about your Star Sign looks like. I am a Scorpion ... go try and check out of your Star Sign and start looking of it in the Sky. Star signs - as in "What's my star sign?" - is a phrase the average reader of horoscope columns in newspapers thinks of as a "label" for a stereotype applied to him simply because he was born in a certain one-month time period. Sign is an astrological term used by astrologers to define a a sector of the sky. It is one of the twelve sections of Space which were originally marked by certain groups of stars called constellations which are still seen within a narrow band of the sky called the zodiac. These star patterns of the zodiac were a convenient way to locate the Sun and Moon and planets which appeared to be passing through a particular constellation. Zodiac signs and astrological signs and Sun signs are terms which mean the same as star signs. Astrology signs and planet signs and birth signs are similar terms used by laymen; but these usually refer to Sun signs, which is the term commonly used by astrologers.